When speaking, should we show up and wing it, or prepare for our role the way an actor would prepare for his or her time on the stage? 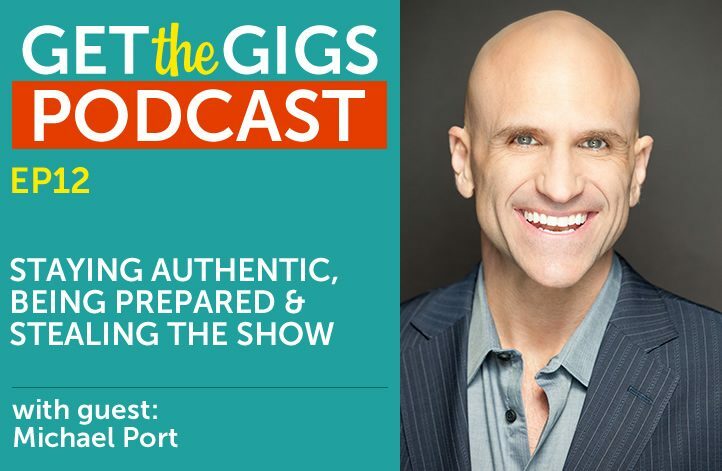 Michael Port’s book, Steal the Show, shares some great insights on how approaching the stage like an actor can help us deliver a much better product to our audience. Also, what does it mean to be authentic? What can we do to steal the digital show? Called “an uncommonly honest author” by the Boston Globe, a “marketing guru” by The Wall Street Journal, and a “sales guru” by the Financial Times, Michael Port is a NY Times bestselling author of six books including Book Yourself Solid, The Think Big Manifesto and his hot new release, Steal the Show. Rehearsing, technical aspects, and improvisation: there are a lot of parallels between a trained actor and a good public speaker. Rehearsing is essential but just doing a little bit of rehearsal can be a detriment. When we “wing it” are we good because we wing it or in spite of winging it? If you’re going to be a professional, you need to have a lot of reverence for the stage. What role do you play based on the situation? Having the skills that an actor has can give you more tools in your tool box. How can speakers steal the show and bring authenticity through their websites and digital marketing? When people are reviewing you and considering you, they want to know why you do what you do. How does what you stand for connect to what you offer your audience? What exactly does being authentic mean? How authentic should we be? Can you guarantee a standing ovation? Is that even a good reason to give a speech? Here’s Mike Michalowicz’s awesome site that Michael mentions.